Henry Levy was born in 1846 in Wineslowsky, Posen, Poland. Around 1861, Henry Levy came to the United States, and settled first in San Francisco, California. Levy then worked as a barber in Northern California mining towns, such as Dixon and Davisville. In 1874, Levy went to Owens Valley, east of Fresno, where he became a hotelier, founding the 300-foot Miners’ Hotel & French Restaurant in the Inyo County Seat called Independence. Levy and his wife, Mary, managed this hotel until 1884. That year, the Levys opened a larger hotel called Blaney House. In 1886, a fire broke out in Independence, razing many buildings, including Blaney House. Henry and Mary Levy rebuilt their hotel on the site of the original Miners’ Hotel. 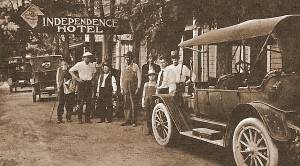 In late 1886, the hotel opened for business under the new name: Independence Hotel. In 1879, when the nearby the Cerro Gordo mine closed, Henry Levy purchased a bar from one of its saloons and installed it in his hotel. During the 1880’s, Levy opened a stable and operated a stagecoach in order to bring railroad travelers from the Citrus Station to Independence. In 1899, he expanded the hotel, renaming it The New Independence Hotel. 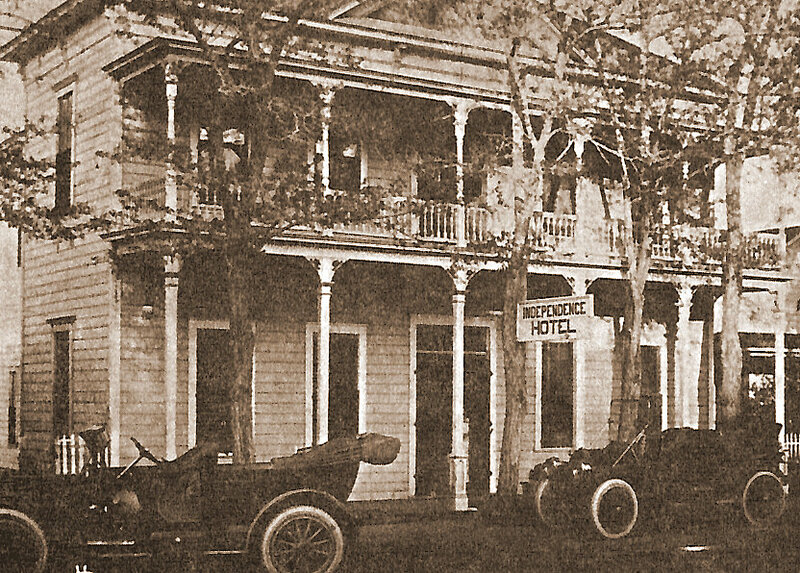 This hotel included a restaurant and a saloon, which were connected to the main building by a covered alley. In 1914, the Los Angeles Department of Water and Power, heavily involved in water from the Owens Valley, wired Levy’s hotel for electricity. 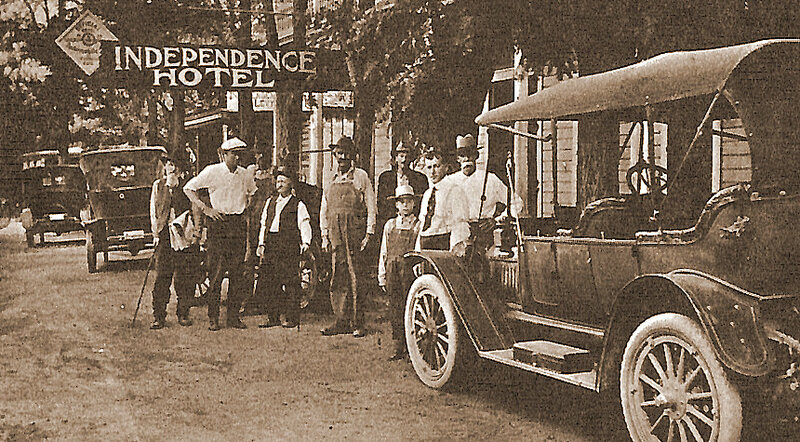 In 1920, when Henry Levy retired, Mary Levy and their sons, Walter and Milton Levy, managed the New Independence Hotel. In 1938, Lena Levy joined her brother, Milton, in running the hotel. They continued as its managers until they sold the business around 1944. Around 1874, Henry Levy married Huldah Sultan (Hulday, according to her tombstone). 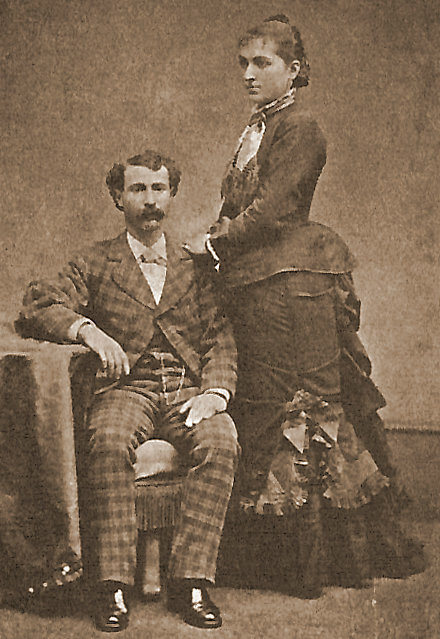 In 1876, Henry Levy married Mary Joseph (1860-1953). Together, had eight children: Mark (1877-1884), Birdie Levy Yandell (1879-1982), Minnie Levy Mairs (1881-1967), Joseph (1883-1900), Milton (1885-1947), Lena (1886-1967), Walter (1892-1938), and Edith Levy Brierly (1895-1980). Henry Levy died in 1925. He is buried in the Independence Cemetery in Inyo County, California. “Henry Levy and Family and the Independence Hotel,” Western States Jewish History 20/3. Gena Philbert-Ortega, Cemeteries of the Eastern Sierra (Arcadia Publishing, 2007). Samantha Silver is curator of this Henry Levy exhibit.